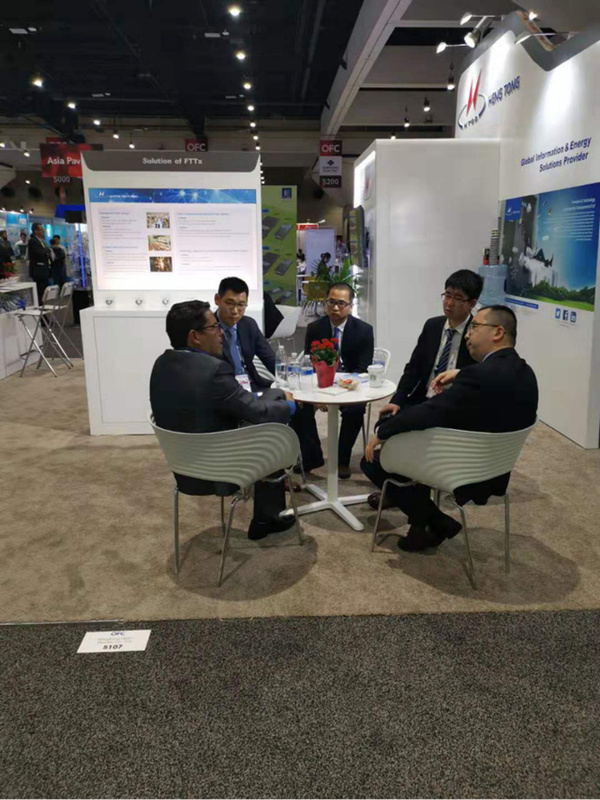 From March 5 to 7, 2019, the 44th Optical Fiber Communication Conference and Exhibition (OFC 2019) was held in San Diego International Exhibition and Conference Center. During the exhibition, Hengtong showcased 100G silicon photons module, and the special optical fiber products including access network optical fiber, 100G and 400G large-capacity communication optical fiber, as well as solutions such as marine optical fiber, sea trail£¬ air-blowing micro cable, and ODN solutions including FTTH and data center. These displayed products’ applications covers the intelligent optical network, the IoT, the data center and many optical communication fields, attracting a large number of visitors and professional customers, and fully indicating Hengtong’s influence. The development of AI, IoT and other applications has led to exponential growth of data center traffic. This year, OFC invited enterprises and guests on the whole ecosystem of the data center network and connection field to explore the demand of various data centers for optical communication and further explain the hot spot of the data center. Hengtong not only built a large-scale data center with the ability of data transaction and data collation on the bank of Lake Taihu, Suzhou, China, but also set up a research and development center for entering the market of distributed data centers. Hengtong’s existing data center family of solutions can meet the needs of users in different application scenarios. 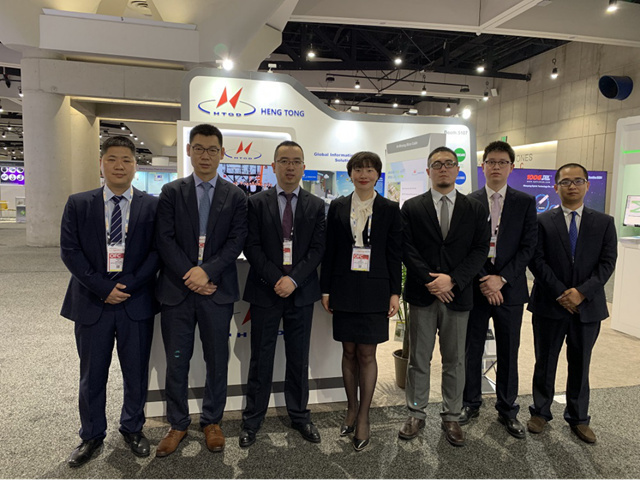 In addition, Hengtong also launched a new product of silicon photons module in OFC 2019. Recently, silicon photon technology has emerged all over the world because of its lower cost, lower power consumption, higher rate, higher reliability. 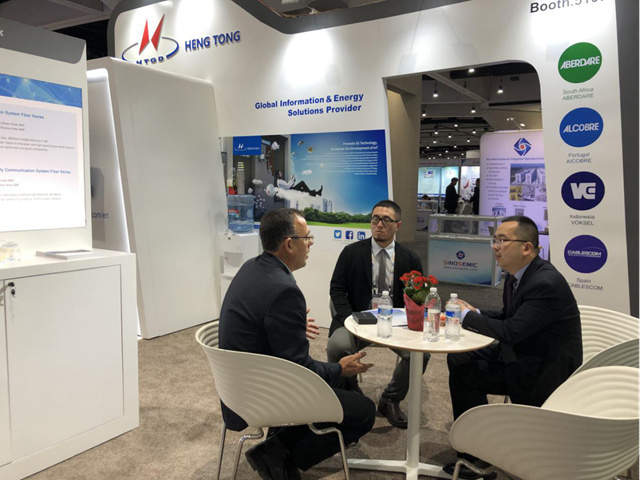 Hentong and Rockley work together to develop silicon photonic chips and modules, providing a new solution for data center interconnection. Hengtong’s landing of new products of silicon photonic module, which in September 2018 were expected that it would launch several silicon optical chip modules in 2019 , has greatly promoted the industrialization of the silicon chip technology. With the continuous R & D and development of technology, Hengtong has gradually established the world's leading optical fiber communications industry chain including preform, optical fiber, optical cable, optical devices, optical network and ocean optical network. With such optical solutions, ocean observation and intelligent ocean engineering system, as well as EPC turn key services, Hengtong has successfully become one of the largest system integrator and network service providers in the field of optical fiber and cable worldwide.